Time to link up your Q4 2016 FAL Finishes! We hope you have enjoyed a lovely holiday season. We have made it to the end of the 2016 FAL and it's time to link up your Q4 finishes! 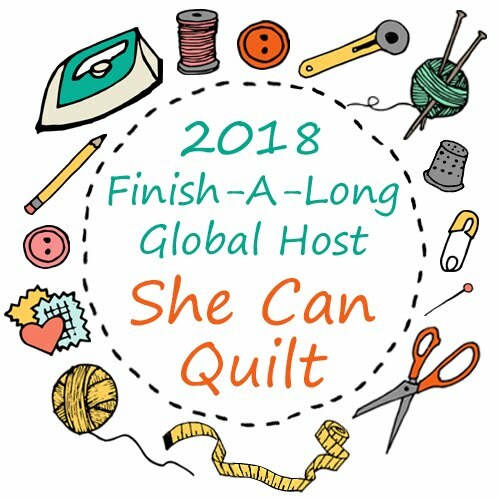 The Q4 Finishes link will stay open from now thru January 7, 2017 - link up your finishes early and if you have a last minute one, add that one later so you don't miss out. The prizes will be awarded as soon as we can verify all the entries and do the drawings. We will post the winners on each hosts' blog. I hope you have had a lovely holiday season and all the best to you and yours for the New Year! 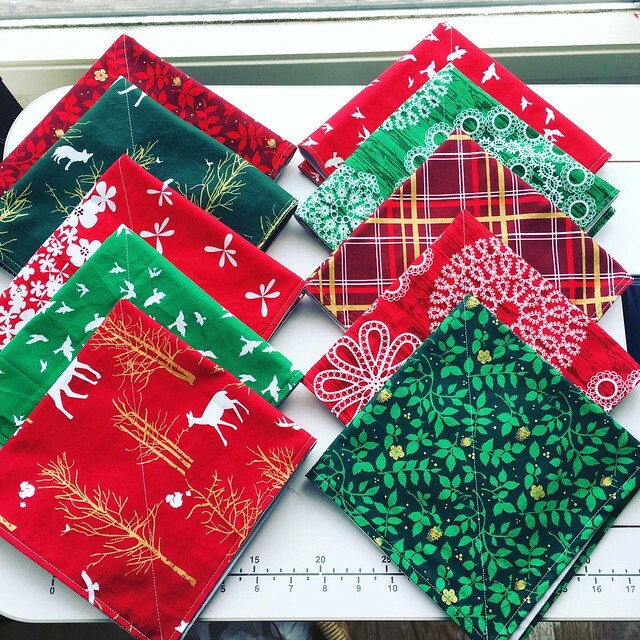 I finished these winter / holiday napkins mid December. They have been used several times now, including for Christmas dinner and they work just fine. 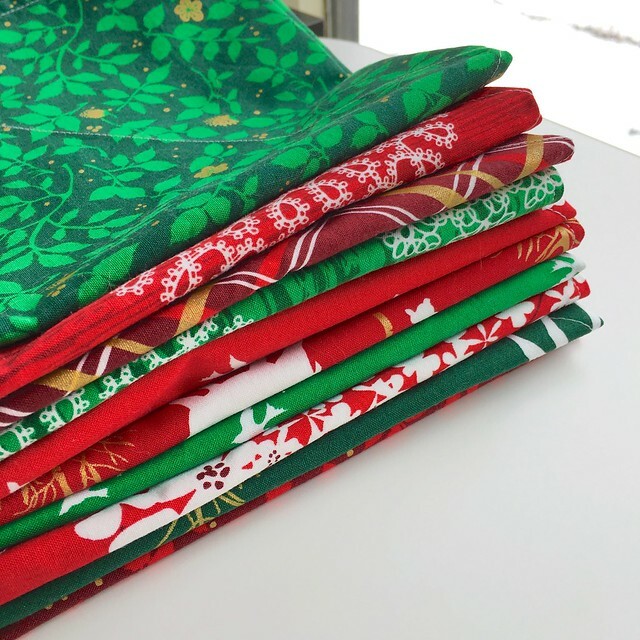 I love the bright reds and greens of Violet Craft's holiday fabrics. For this set, I cut 16" squares of holiday fabric and of silver grey Kona cotton. With right sides together, I sewed around the edges, leaving a 3" - 4" hole for turning. I turned and pressed the napkins. Then I sewed around the outside edge about 1/8", which also closes the turning hole. To keep the front and the back from separating in the wash, I then sewed an X across, which I marked with my hera marker. I do admit to also pressing my napkins after a wash, having made them myself I feel less imposed on to do that small bit of ironing. 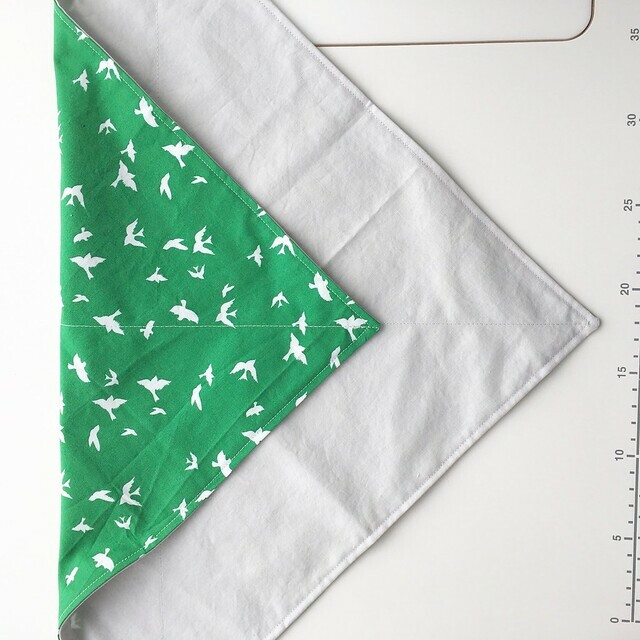 The silver is a nice compliment, light but not white which is a tough colour for napkins that actually get used. I backstitched at each end to secure the threads. 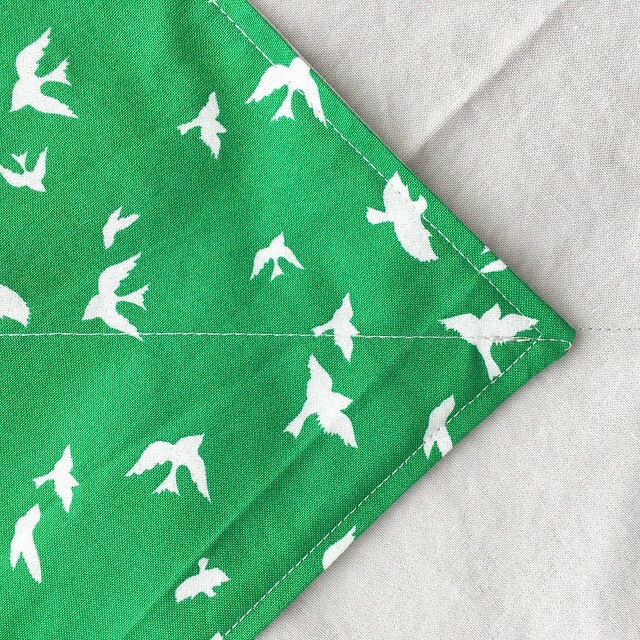 These napkins are on my Q4 FAL list. And this is my reminder to you that the link to post your Q4 finishes will open tomorrow, so maybe you, like me, will want to start getting those finishes you have not yet shared rounded up and ready. I also wanted to let you know that the 2017 FAL will kick off on January 8, 2017 so you can also start putting together your Q1 2017 to be finished list too. 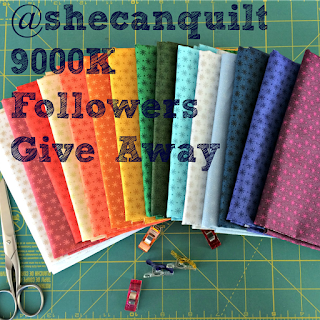 And, congratulations to Krista - Poppyprint - for winning my instagram 9000 followers giveaway. I counted the numbers carefully twice, as Krista is a friend of mine and truly, the random number generator picked her number. I have more to share, it's been a busy holiday at my house so I need a couple more days before I can get that happening. I'm having a celebration over on instagram for my now over 9000 followers. 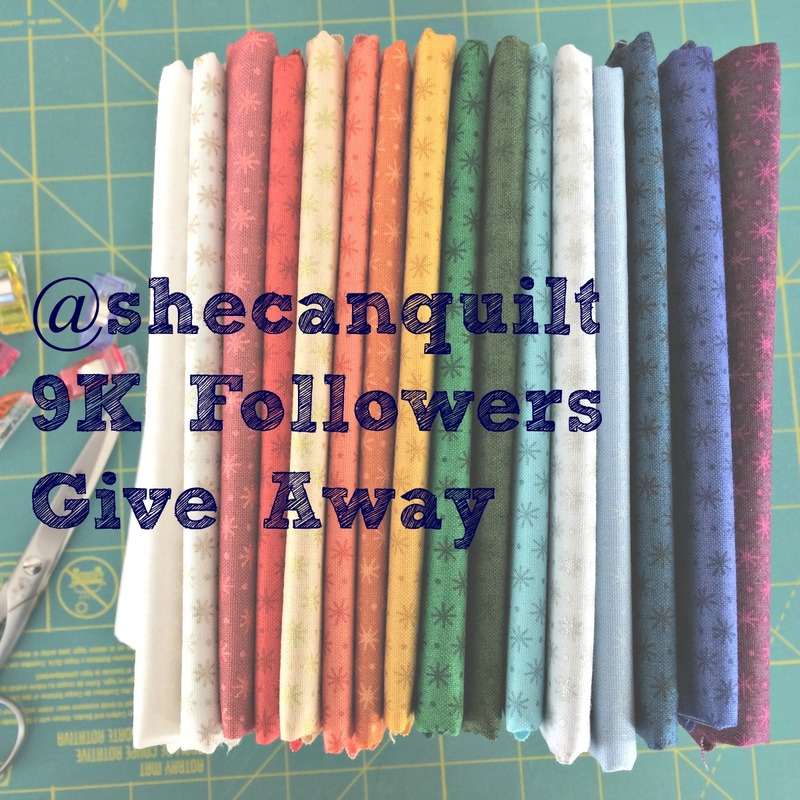 If you did not see it, please check it out and enter to win that lovely bundle of fabrics sponsored by Erica at Studio 39 Fabrics. Confession time. I was rushing to get this up on instagram this morning before I started baking holiday cookies. 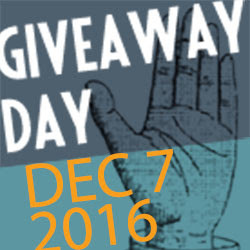 My mind was on the cookies but since this giveaway ends on Christmas eve, I did not want to put off putting it up. So the above photo is the one I put up on instagram. Of course, some people did notice the error, but most have been too kind to mention it. 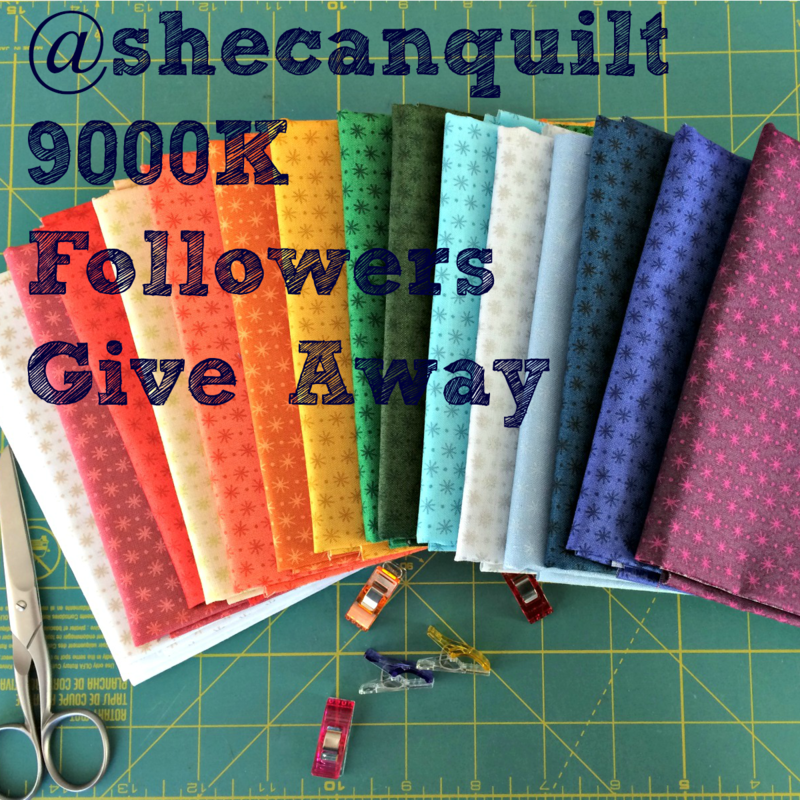 It is 9000 followers, not 9000K. And it turns out that you cannot "correct" your instagram photo either - so although I made that new graphic at the top of this post, I cannot change the photos on instagram and I don't want to start another place for everyone to comment again. Sigh. So, despite my lack of attention to detail, I hope you will enter over on instagram (comments here on the blog do not count). As we come to the end of this year of Scraptastic Tuesday, I have an old scrappy project to share. 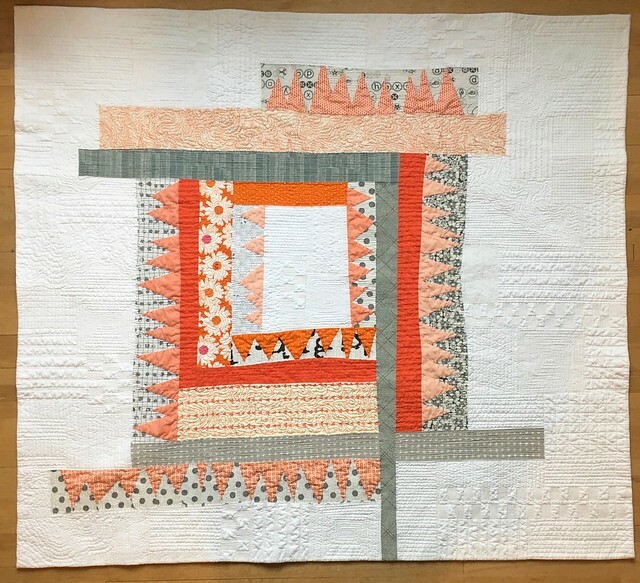 I wrote about the completion of this scrappy quilt, Kaleidoscope on my blog on February 12, 2012. She was a Finish A Long finish, a late completed quilt a long finish and mostly a birthday present for my nephew who was then in his first year of university. I sent it off to him at his dorm. 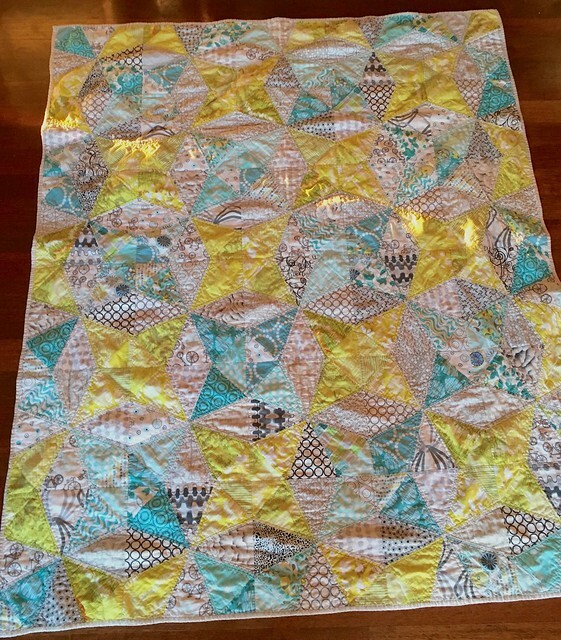 So this quilt is just 2 months shy of being 5 years old. Last week I was at his house and he quietly brought it to me and asked me if I could repair the binding, which had come unstitched in many (but not all) places. He has used the quilt constantly, often washing and drying it, and he told me, yes, it could stay off his bed for one night to get fixed. 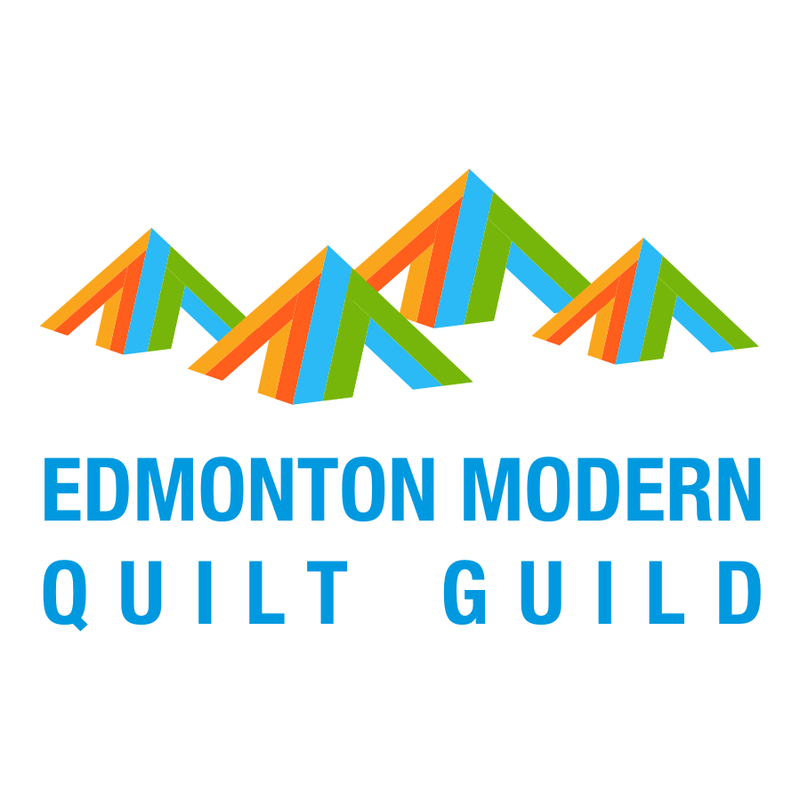 Of course I fixed it and reminded him that quilts from me are guaranteed for life or happily replaced if damaged beyond repair. What he does not realize is that he gave me the best Christmas present! There is nothing better than knowing that our handmade presents are used and enjoyed daily by those we give them too. That photo is from last week, it is holding up well. 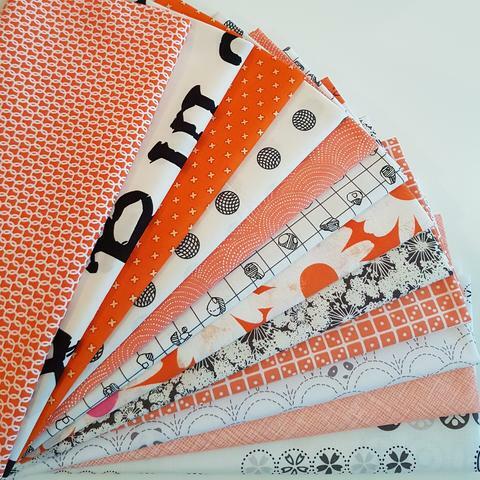 Fat Quarter Shop - $25 gift certificate - #42 - Eva at Bambisyr med sin Quiltglädje! Please join Nicky from Mrs. Sew and Sow and I next month to link up your scrappy project or thoughts on taming your scrap mountain on the second Tuesday in January, January 9, 2017. And if you are looking for some scrappy inspiration, visit the December links, they are awesome. Thank you to everyone who entered, I now have a lot of book and movie ideas for the holidays and into the new year! Also, if you have not yet linked up your scrappy project, in progress or finished, for December's Scraptastic Tuesday, please do that before 10 pm MST tonight. There are great prizes, after all, and a lot of scrappy inspiration. It's a busy day at my house. A bit of day job then painting bedrooms and then purchasing and decorating the tree and then maybe even some cookies will be baked. We have a chinook wind too, so powerful weather to keep us moving. 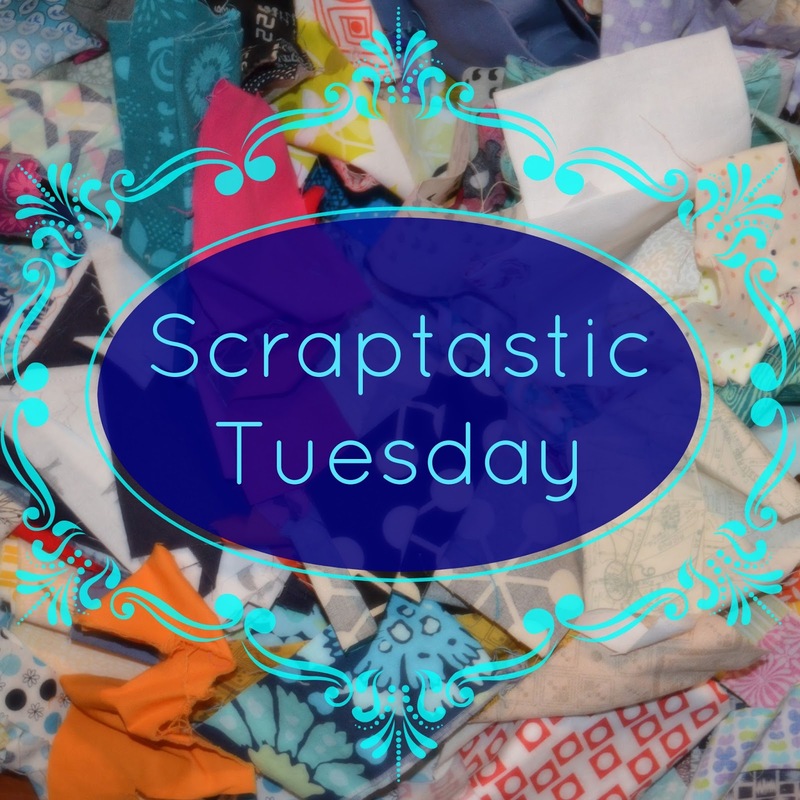 It's the second Tuesday of December, and the Scraptastic Tuesday monthly link is open. Can you believe it, the last Scraptastic Tuesday for this year, but don't worry, Nicky and I have a lot more scraps so we will be here for next year, we hope you will keep joining us too. First, I have a couple of small updates. 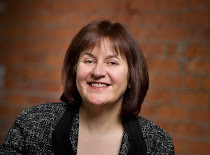 If you visit here often, you have already seen my Ta Da post for Imp. I have been showing off my progress on Imp for Scraptastic Tuesday for a while, so it only seems fair to show here all done here as well. 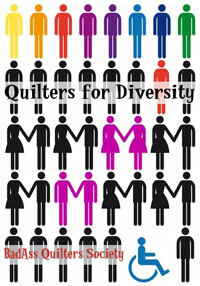 In fact I love this quilt so much I could show it off every day but I will try not to do keep doing that. And this holiday pillow is another scrappy project. I had these Violet Craft fabrics set aside to make napkins so I cut out the fabric for 10 new napkins. 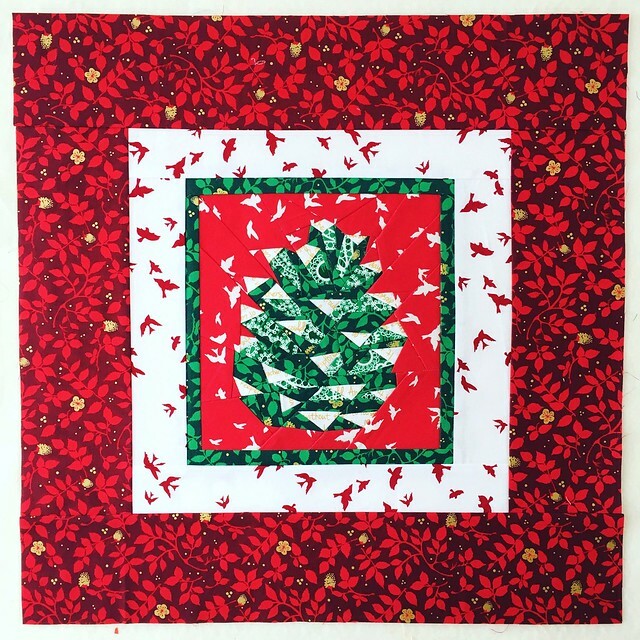 My plan was to use the leftover scraps to make a holiday paper pieced pillow using Violet's pine cone pattern. So far, I have the pillow top done, at 18" square. I really like this pillow with this smooth dramatic look so right now I am leaning towards no quilting. 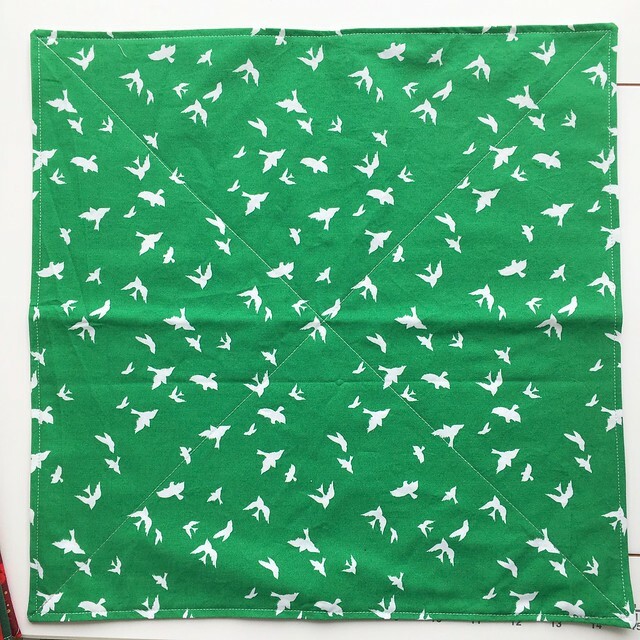 I do need to do something to secure all those paper pieced seams and Krista (@poppyprint) suggested on instagram that I use fusible fleece backing which is brilliant. I can quilt it then if I like but if not all those seams will be secured and tidy. Now I just need to shop and maybe I can share the finished pillow next week. By the way, there is the #christmascusionalong on instagram that I joined as well and you can too. 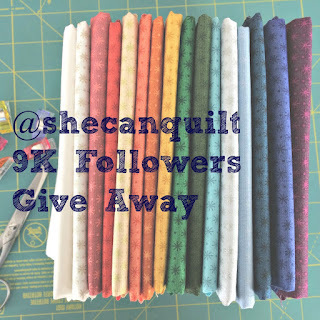 A beautiful bundle for SMS Giveaway Day!